I woke up this morning and did not want to go for a run. I was planning on doing speed and really didn’t want to do that either! I got up anyway and knew I would regret it later if I didn’t get out and go. I ran a 11 minute warmup on the dirt road and then began a speed workout… Not to intense of a workout but it was something. From my brother-in-law’s house (Jarom & Christina) to the highway is about .6 or .7 miles of little rolling hills. My 1st one down was 3:52. I then jogged for 1 min and ran hard back up (I ran a shorter distance back up). It took 3 min to come back up. 2nd time down took me 3:38 with a 1 min jog and a 3 min hard back up. My 3rd set was 3:31 with a 1 min jog and 3 min hard up. I wasn’t all the way into it today but I am glad I did it so i won’t have to do it tomorrow. I did a nice cool down of about 12 13 min with a total of 53:05.16. 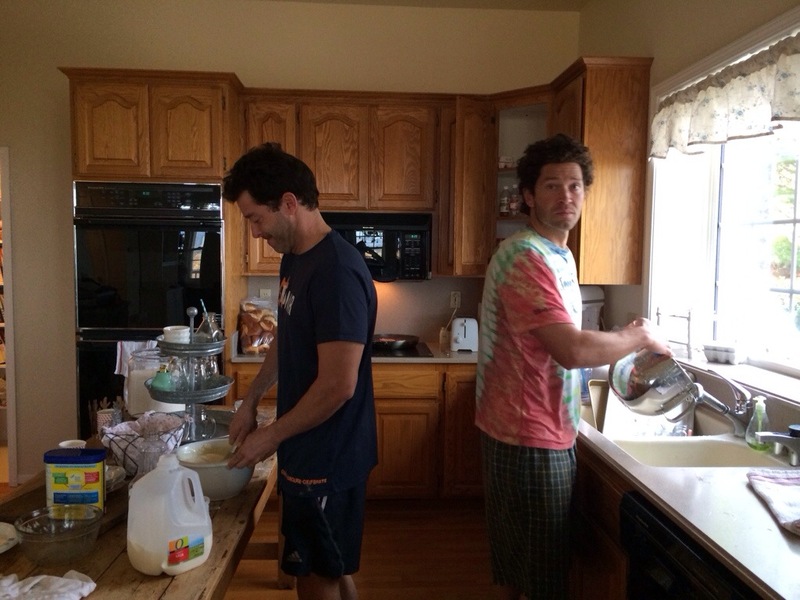 I came home from my run to find these 2 in the kitchen making breakfast and cleaning (Corom and his brother Jarom). That was nice coming back to eat pancakes, bacon and a fruit/veggie drink from their juicer. 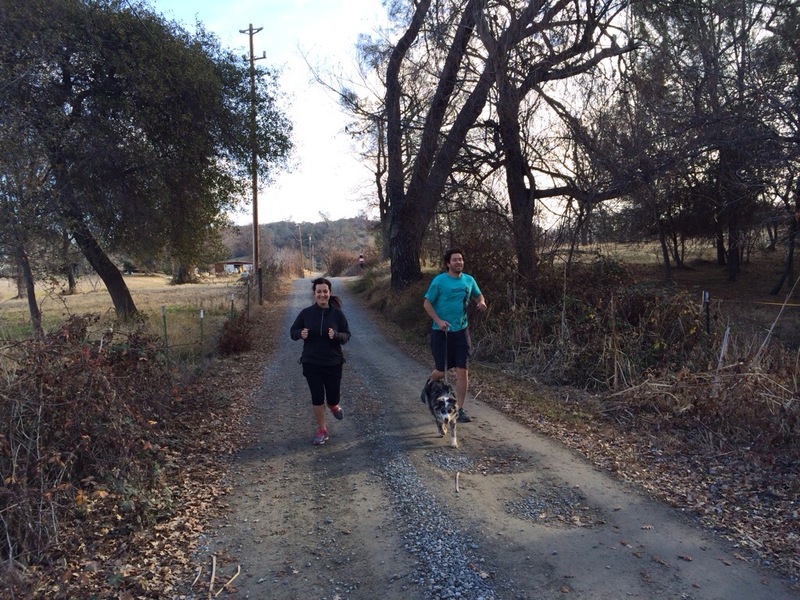 Shortly after, Corom, Christina (my sis-in-law) and I went for a run/walk. She is getting back into running and it has been fun going with her. We ran 16:21.23 and walked about 9 1/2 min. It was a little hard and made me feel a little sick after the big breakfast.